So, carrying on with my last post, how can you shed those stubborn lbs? Well, first of all…I’m writing this post for myself too. I think the first step is realizing that I/you need to change. I don’t want to call it a diet…why? Because, I don’t want to live my life on a ”diet”, that’s just silly. I want to have a healthier lifestyle. The main thing is water. People sometimes confuse thirst with hunger. So you can end up eating extra calories when an ice-cold glass of water is really what you need. Aim to have between 10-15 glasses of water a day, that’s roughly 2.5litres. “If you don’t like plain water, try adding citrus or a splash of juice, or brew infused teas like mango or peach, which have lots of flavor but no calories,” says Cynthia Sass, RD, a spokeswoman for the American Dietetic Association. Start by focusing on getting the recommended 5-9 servings of fruit and veg each day. It sounds like a lot but you can cram this all in all day. Make your ”diet/lifestyle” change public. Tell people you want to change. It will improve your self-esteem and allow people to comment on your (hopefully) weightloss. Give yourself one day off. That does NOT mean that you sit down on a Saturday afternoon with a bag of cookies and a big bottle of pop but treat yourself, have a slice of bread, have a cookie. One slice of bread and one cookie will NOT kill you and WILL NOT allow you to gain 5-10lbs. Exercise: Aim to walk at around 6/7km p/h. 5 times a week. Gradually build this up to 7 days a week of one hour exercise. DO NOT over estimate what you can do at the beginning, remember your body has been in survival mode. You will only end up hurting yourself. Once you’ve lost the weight, you need to keep it off. This is where the red flag comes in. You need to pick a weight and vow to never get heavier than it again. It is normal for your body to fluctuate five to ten pounds. I recommend picking a weight that is ten pounds heavier than what you “normally” weigh and never weigh more than it again. So those are my tips, it’s now time for ME and YOU to put them in action. Lukewarm glass of water with a dash of lime or lemon BEFORE food. A handful (NOT A BOWL) of special K or Alpen/Muesli with either soya or skimmed milk. A piece of brown/multigrain bread with flora NOT butter. Dinner: Lean Meat with Salad or Salad alone with piece of fruit after. I will stop eating junk food. AND I WILL DRINK 2.5litres of water a day. I will be happy NAKED. LOL and ..when I reach that plateau and it won’t shift, I will resort to fat burning pills. I was a little unsure about it but it’s very, very interesting and could be worth some serious thought. So, I’ve been doing some research and according to my blood type, which is A, I should be doing the following; Tai Chi and Yoga – interesting, calming exercises are a much better preference for me, running and intensive exercise is a huge no no. 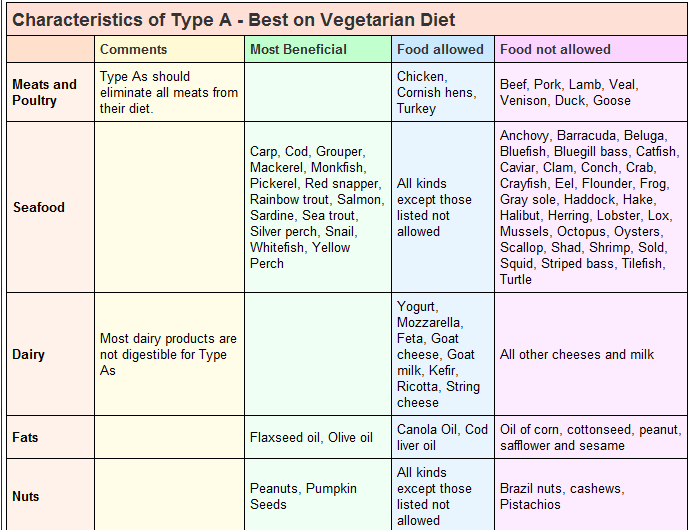 So, here’s what the doctor has to say re; blood types and diet. Type O-People with type O blood fare best on intense physical exercise and animal proteins and less well on dairy products and grains, says Dr. D’Adamo. The leading reason for weight gain among Type O’s is the gluten found in wheat products and, to a lesser extent, lentils, corn, kidney beans, and cabbage, Dr. D’Adamo explains. Ideal exercises for Type O’s include aerobics, martial arts, contact sports, and running. Type A-Those with blood type A, however, are more naturally suited to a vegetarian diet and foods that are fresh, pure, and organic. As Type A’s are predisposed to heart disease, cancer, and diabetes, “I can’t emphasize how critical this dietary adjustment can be to the sensitive immune system of Type A,” says Dr. D’Adamo. Type A’s prefer calming, centering exercise, such as yoga and tai chi. Type B-Type B’s have a strong immune system and a tolerant digestive system and tend to resist many of the severe chronic degenerative illnesses, or at least survive them better than the other blood types. Type B’s do best with moderate physical exercise requiring mental balance, such as hiking, cycling, tennis, and swimming. Type AB-Blood type AB, the most recent, in terms of evolution, of the four groups and an amalgam of types A and B, is the most biologically complex. For this group, a combination of the exercises for types A and B works best, says Dr. D’Adamo. So, all a bit strange? Yes, perhaps but it might actually work. We’ll see………only time will tell.